I am here with one of the most controversial figures the history of the wrestling industry and that is... Vince Russo! He is the former creative writer for WWE, WCW, and TNA Wrestling, as well as a former WCW World Heavyweight Champion! It seems like this guy has done it all! He’s wrote some of the most infamous storylines in wrestling history and even has been part of some of the most infamous ones! Let’s welcome Vince Russo! - Hey Vince, how is it going? Alright Alex, how are you doing? You know, we been talking back and forth through email for pretty much this entire week about an interview, and then we went into detail about some other stuff, but once everything was squared away, I stopped and thought, “What exactly can I ask him?” I asked my readers for questions and, believe it so, there are still questions about your past occasions like Bash at the Beach 2000, your use of “Pole” matches, and even your relationship with Jim Cornette. I think we can pretty much answer those questions with one website - PyroAndBallyhoo.com! I actually think it would be a fun idea to actually how many times we can plug some part of your website or even Twitter like WWE does with the Network. How does that sound? That sounds like a deal to me! To tell you the truth, I don’t want to ask you about those past questions. I have been following you on Twitter, @PyroBallyhoo, and your website, PyroAndBallyhoo.com, since their inception and I received all the answers to those infamous questions. I want to dig a little deeper into your most recent stuff in the past several years as well as your views on the current wrestling product. Let me start out with this - Let’s go back to 2009 when Hulk Hogan and Eric Bischoff was first announced that they will be coming to TNA Wrestling? What were your thoughts on the announcement? I’ll be honest with you - I didn’t like the way it was done. It was kind of done behind my back. As you can remember right around that time, maybe about 3 months prior, Jeff Jarrett was sent home for disciplinary actions, or whatever you want to call it, but the Jeff and Kurt situation had gone down, so at that point Jeff went home. Dixie Carter was in a panic. So Dixie turned to me and said, “Vince, you have to write the show and this and that,” and I said, “Yeah, no problem. I written shows in the past.” I had Matt Conway with me, who I think is excellent. It was the two of us. So for three months during that time we were really making a concerted effort to start getting the younger guys over. That was the direction we felt we needed to go in. And little did I know, while Matt and I were doing all of this, Dixie was talking to Hogan and Dixie was talking to Bischoff and the next thing I know, while me and Matt are trying to make a change for the company, I was basically told in one day that Hulk Hogan and Eric Bischoff were coming in. And I’m like, “Oh okay,” and at that point I was an employee - There wasn’t much I can do. I did know this - I know the wrestling well enough to know that no one individual is bigger than the wrestling business. No one guy, this is not against Hulk Hogan - I don’t care who it is, no one guy is going to come into your wrestling organization and just turn it around. It just doesn’t happen that way. I think Dixie believed that. I know Dixie believed that. I know Spike TV believed that. But I had enough experience in the wrestling business to know that wasn’t going to happen. So they came in and I knew it wasn’t going to be the pop that Dixie and Spike were expecting to get. And much to my chagrin, we were trying to go to the direction of the younger guys and once Hulk and Eric came in we kinda went back to the direction of the veterans. Which I didn’t agree with. I didn’t think it was the way to go, but at that time, and I am just going to say it as it is a fact, Dixie was in love with Eric and Hulk, so whatever they wanted we did. Sadly you and Eric had different thoughts on where you wanted to take TNA Wrestling. Me personally, I think this situation also furthered the tension between two people - Dixie Carter and Jeff Jarrett. While you were there, did you feel or see this tension? Oh every day... no doubt about it! It was very very hard for me as I was in the middle of it a lot and, quite frankly, that had a lot to do with me leaving the company the first time back in either 2005 or 2006. I was middled between the two so much that I just couldn’t do it anymore. That had a lot... A LOT to do with me leaving TNA the first time around. Did Dixie have a lot of control back then in the early days? It was a struggle between her and Jeff. It really was. Dixie should of had control. I mean, she had the money. She was basically in charge once Jeff ran into financial problems with his backer pulling out, but it was a constant constant struggle. You were also with the company (as a consultant) when Jeff Jarrett gave his resignation to TNA Wrestling at the end of 2013. What went through your mind when you heard the news? I was absolutely shocked! And TNA did not tell me that. I literally read that online like everybody else. I could not believe what I was reading. I think at the time I just started consulting and that totally took me by surprise. Till this day I don’t know what was behind that. I don’t know how it went down. I don’t know what was said because, again, I was never given that information, but I read that online like everyone else and I was completely shocked. I didn’t see it coming. Do you still have a good relationship with Jeff Jarrett now? No I don’t and I can tell you the reason. The reason is, from what I can gather, is the fact that when they brought me on as a consultant it was under this big veil of secrecy, which I didn’t like from the beginning, but that’s the way Dixie wanted it. And unfortunately, I think while Jeff was there he found out. Now you got to put yourself in his shoes. I have been friends with Jeff Jarrett for 20 years and all of a sudden he is finding out that Vince Russo is consulting with TNA and Russo never told him that. So as far as Jeff is concerned, he can sit and look at it as Vince is doing it behind his back while the fact of the matter is that Vince would have gladly told him and would have no problem telling him whatsoever, but when I was hired by Dixie, her instructions were to not tell anybody, so that’s why I couldn’t tell Jeff even if I wanted to tell Jeff. I think Jeff found out on his own and since then he has heat with me over that. So would you say Dixie went behind Jeff’s back? I would think so. I can’t say that as a fact. I know Jeff found out. I was told Jeff accidentally found out, so I would assume Jeff was never told. Many, including myself, would like to know – Why did TNA Wrestling reach out to you as a consultant and why exactly did they want you to keep it a secret? A couple of things. They reached out to me because, quite frankly, when it comes to creative, okay, listen, in a matter of months they parted ways with Bruce Pritchard, they sent Eric Bischoff home, they sent Jeff Jarrett home. When it came to creative, and it is still true to this day, when it comes to creative, there is really no wrestling guy at TNA. They don’t have a wrestling guy. By wrestling guy I’m talking about somebody that has years and years of experience, and I mean in my case and Bruce’s case and Eric’s case and Jeff’s case, I’m talking about people with decades wrestling experience from a creative point of view that had a history of working with so many other creative people before them. At TNA, before they brought me on as a consultant, once they let everybody go, they had Dave Lagana, Matt Conway, and John Gaburick. I’m sorry but none of those three guys have a tenth of the wrestling experience compared to everybody that they let go for whatever reason. So, I think at the beginning, obviously, that’s why they brought me in as a consultant. Now if you are asking me why it was a secret, I’ll be honest with you, at the very beginning, I believed it was because Eric was still actively working for the company. So I just assumed that Dixie didn’t want Eric to know because, let’s face it, Eric Bischoff and myself didn’t exactly see eye to eye, so I thought it was because Eric was still actively working for the company. Now, when they actively took Eric out of the equation, I thought at that point now the secret can be out. But much to my surprise, at that point, we still had to keep it a secret. And at that point I really believed, and this is just my opinion because I’m not Dixie Carter and I don’t know, the only one who can answer that is her, I have to believe that it’s because she was afraid of what the internet was going to say. From day one Dixie has let the internet have so much influence over her and her business that it has hurt her, without a shadow of a doubt. And I think she was really afraid of the backlash from the internet wrestling community if she made the statement that Vince Russo was helping with the product. That’s just my opinion; I have no proof of that. Some wrote to me and wanted me to ask you why you seem so bitter toward TNA. Are you? I’m not bitter with TNA at all. I think the better word to use is disappointed. I think they are absolutely clueless concerning the way they treated me. I have no problem saying that. I don’t like the way I was treated. I think they made a huge, huge mistake. But, there’s no bitterness. There’s no bitterness for two reasons - And this is the absolute truth. There’s no bitterness because, number one, with PyroAndBallyhoo.com, right now I love what I am doing. To be able to say whatever I want to say and not have to worry about getting a phone call from Nashville and being yelled at like a child when I am a 53 year old man because that was happening on a weekly bases. It’s just being able to go out there now and say, “Look, this is how I really feel, this is what I really think.” No longer do I have to worry about anything I want to say. That has been the most rewarding and freeing experience in the world for me. I love what I’m doing now. I love being my own boss, I love PyroAndBallyhoo being my job and my future and me controlling that. I love that. Number two, aside from how I might feel about John Gaburick right now, I look at him like, “You don’t understand. You don’t have the wrestling knowledge and experience that you may think you have.” Trust me. I was a consultant for him. I know as far as wrestling his strengths and what his weaknesses are. I don’t think it was a wise decision for him to treat me the way he did. You lose Bruce, Eric, Vince, and Jeff and now be doing creative with Dave Lagana and Matt Conway - I don’t think that’s a wise choice. I&apos;m disappointed of the way he treated me because he accused me of a lot of things at the end, which was very, very untrue and which made me very upset. So, as far as he is concerned, as a human being, there’s not too many great things I would say about him at this point. But, when you look at the company, there isn’t a person on that roster that I don’t love. These are my friends. These are people that are extremely, extremely talented. These are people that I love, that I work with, that I respect, that I want to prosper. I want them to be successful. And that is who I think of first and foremost. That’s why you will never hear me sit back here and just rip TNA to pieces because I don’t want what a couple of individuals did and my experience with a couple of individuals to bleed over into the roster, the people that really matter and the people that are busting their butts in that ring every single day, so I will always root for the Bobby Roodes, and the James Storms, and the Abysses, and the Beautiful People, and the list goes on and on and on. I will forever be their biggest fans. I just think TNA management, and by management, let’s face it, I’m talking Dixie Carter and John Gaburick, I think they made unbelievable mistakes that are not going to help their company in any way - It’s just going to hurt it. Let’s talk about Jeff’s Global Force Wrestling for the moment. Before we go any further, if Jeff offered you a job in the company, would you accept? I don’t think so. Having the experience with PyroAndBallyhoo.com the last couple of months and being able to do whatever I want - I don’t think I want to be in a situation again where, you know, somebody can tell you, “Okay Vince, we want you to be the head of creative.” You then go in there and every week they are telling you what to do. I am not saying Jeff would do that, I am just saying I don’t want to put myself in that position again. Like I said, the experience the last couple of months has been so freeing for me. Right now, being in the position I was in, for anybody, WWE included, is probably the last thing I want to do right now. Jeff has been working on some crazy international agreements from AAA to New Japan Pro Wrestling to many promotions in the United Kingdom. In your eyes, when do you see the company actually get off the ground in terms of producing content on television? It’s the TV deal. That’s with anybody. Jeff would be the first to tell you this - Until he has a television deal and his product is going to be seen and have an outlet to be seen - He can sign contracts and have relationships with every wrestling promotion in the country, but until he has a place to showcase that he’s not really going to be able to do much. He knows that. It just really depends on if Jeff can secure a TV deal. Who is one talent that you think they really NEED to sign? That’s hard to say. If it is an exceptional talent they are probably working right now. The only person that comes to mind immediately is not working for a major promotion right now would probably be AJ Styles. Let’s go back to TNA Wrestling for a little bit. I have a little story to share and would like to get your thoughts on this. Many people from my website and social media know this, but I reached out to Dixie Carter last year for an interview. She agreed to do it. I emailed her all of the specifics and questions but never heard a response. So I got creative and edited that Uncle Sam poster saying “I Want You” and said I want you for an interview, Dixie Carter. I sent it to her and she agreed to an interview... AGAIN! She never answered my questions. So I started a petition and emailed the company. After some “serious thought” they didn’t want to go forward with it, even though Dixie agreed to it twice. Maybe I am just looking into it too much, but when someone says they will answer your questions, they should? 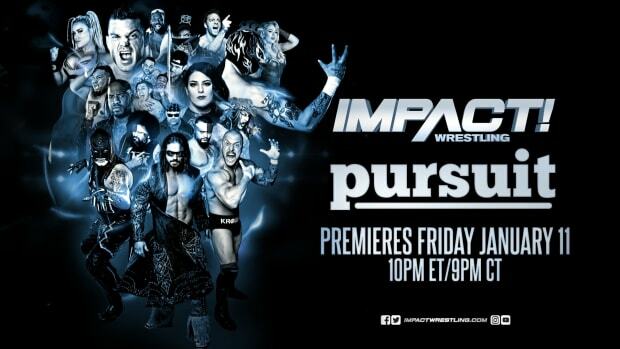 Do you think this falls in line with TNA’s lack of promotion/marketing and is it fight on with Dixie’s actions? It falls in line with lack of promotion and lack of marketing but it falls in line with a much bigger issue than that in TNA - An issue that has been there since day one and an issue that I have dealt with for over ten years. Now I have said this a million times and we need to separate the two because I want people to understand clearly. As a person, personally, I love Dixie Carter. I think Dixie is one of the nicest people in the world. I love her. I have all of the respect for her as a human being. There isn’t anything I wouldn’t do for her. If she emailed me TODAY on a personal level asks me to do something for her I would do it. That’s how I feel about the woman. I made that clear. Now, on the professional level that is a totally different story. Just because I love someone as an individual or as a human being from a personal standpoint that doesn’t necessarily mean I am going to agree with everything they do on a professional level. One of Dixie’s weaknesses from day one has been the inability to make decisions. That is why you can look at the laundry list of the people who she has brought into the company in hopes of them making some of the decisions for her. Obviously at the beginning you had Jeff. Then from Jeff you had Eric. Then from Eric you had Bruce Pritchard. Now from Bruce Pritchard you have John Gaburick. And the problem is when Dixie brings these people in, because she has problems making decisions, and then she tries to kind of take a backseat and let these people run with it so she doesn’t have to face up some of the decisions and some of the responsibilities that doesn’t feel comfortable standing up to. Now the problem is the people she puts in charge, in my opinion, now they start to get a little power hungry. And now their power starts to go their head a little bit. When the power starts to go to their head that’s when you start running into some problems. Personally, no question in my mind, do I believe that has happened to John Gaburick. I mean, how any individual... any individual... in a matter of a year, I think he came on last June maybe - In a matter of a year to wipe the company clean of everybody that ever had any kind of wrestling knowledge - To just clear the table of a Jarrett, a Bischoff, a Pritchard, and a Russo and really be standing there with two writers that have very little experience - That, to me, is a sign of someone who wants to be in control and wants people to follow rather than hire people that are going to be equals - That are going to challenge and that are going to want to move the company forward. That’s all my opinion. I’m entitled to my opinion. I was there. I saw the layout. I saw how things worked. I walked away from it with an educated opinion. I actually wrote an article back in June about that same topic you touched on. It seems like Dixie Carter hands over the car keys to TNA every 3-4 years to someone different whereas the WWE has had the same direction with Vince for decades after decades, which is why they are so successful, in my opinion. For TNA, Dixie hands over the keys to someone new every 3-4 years and each person coming in has a different view on where they should take the company. They keep on changing paths after every person coming on that they really can’t build a solid foundation. That’s an absolutely 100% correct statement. Again, at the end of the day, that all starts at the top. There’s nobody else to blame. There’s nobody else to point the finger at and nobody else to question but the leader herself. Like I said, personally I love the woman. Professionally, it starts at the top. It is that simple. WWE starts with Vince McMahon. Vince Russo was never blamed for the problems at WWF. It started and ended with Vince McMahon. However TNA wants to put their spin on Vince Russo’s involvement with Spike not renewing their deal or whatever - That is absolutely ludicrous! I was a consultant for the company. That’s it. Everything starts and ends at the top. That is an absolute fact. I want to touch on their Spike TV television deal. You stated in your latest podcast, located on PyroAndBallyhoo.com, that you were not fired by TNA because Spike TV found out about you working as a consultant for the company. In fact, you state they knew months before. You personally, do you think Spike is a good fit for TNA? Do you think they should go to another network? I think Spike is an absolute joke! I think Spike is a horrible network. Keep in mind - People have to understand something - And again, people can say, “Oh okay, I’m saying that because I’m bitter.” No, I’m saying that because while I was with the WWE I worked very closely with Bonnie Hammer and the USA Network. I saw how a real network conducted themselves. Bonnie Hammer as a Network Executive was at the same level as Vince McMahon. This woman was an absolute genius! So luckily I got to work 5 years with the USA Network. I saw how a network ran. I got to work 10 years with Spike TV and 10 yeas with the representatives of Spike TV and 10 years with how Spike TV did business. Spike TV was the Mickey Mouse club compared to the USA Network. If you look at your history you’ll also see that there was a time when Vince McMahon and WWE were actually on Spike television. And you can see during that time what little success the WWE had. That’s for a reason. That is just one thing that kills me about the TNA situation. It’s almost like they are at a point of begging Spike TV for a new deal when the reality of it is they are never going to grow their product with Spike TV. Spike isn’t going to promote it. Spike isn’t going to advertise it. Spike isn’t going to market it. Spike isn’t going to put the money into it. Spike doesn’t have the representatives that really understand wrestling. So even if you do get a contract with them, and obviously it is vital that they get a contract to stay in business, what you are doing is you are guaranteeing yourself that you are going to stay in the same exact spot and you are never going to grow your company. I think that is real unfortunate for TNA. I said it all along - And again, you get back to the bitter thing - I pray that another network comes along. That’s where a night in shinning armor comes along and puts TNA on their network and embraces TNA and gives TNA the attention that they not only need but deserve. And hand and hand they can take TNA to that next level. I wish that for every single man and woman on the roster. From the bottom of my heart I wish that. But if they renew their contract with Spike TV, they are not going to grow as a company. And if that is okay with Dixie and if she is satisfied with where she is at for 10-12 years then I guess it is fine. Spike TV has no knowledge of the wrestling business. I mean none. I worked for them for 12 years. That is my educated opinion. When I was working as a consultant, I made it clear to John in saying, “John, you aren’t going to grow the company at all with Spike as a partner. Even if you renew your deal with them you are going to remain status quo. I told him that when I was working as a consultant for him. This is nothing I am saying now because I’m not working there. This is something I said all along while I was working there full-time and when I became a consultant. Nothing ever changed with Spike television. And like I said, at the end of the day, okay, you get a 2 year extension. Great! You are still on TV! When do you grow TNA? Do you know what I mean? At what point do you take TNA to the next level? If over the last 10 years Spike didn’t advertise, promote, and market the company properly, why in your wildest dreams you think they’d do it now? It’s not going to happen. Now I really want to touch on several stuff in the world of WWE. Since you don’t do Impact reviews on your website, PyroAndBallyhoo.com, you flopped it with Smackdown reviews. I actually don’t watch Smackdown as I feel like it is almost the same as Raw – whether that be the same matches, recaps, or there’s no story progression. Have you been enjoying Smackdown and do you feel the same way about the show? Yeah, I watch Smackdown because I have a VIP membership on PyroAndBallyhoo.com where, for only the VIP members, not only do I give my podcasts but I also give an audio review of two shows a week. So when I made the decision not to cover TNA anymore - And let me tell you - That decision had nothing, had nothing to do with me not working there anymore. I want to make that clear. That has nothing to do with it. It has everything to do with the Dixie Carter tablespot. And while I was working there as a consultant, you got to keep in mind, that’s when it was written and that’s when they did it. While I was working there I had a huge issue with it - And a huge problem and I let everybody know... From Dixie to John Gaburick to the writers - Everybody! So of course they go ahead and do the spot. Dixie is a non-worker. She never taken a bump in her life. She winds up breaking her back. And I got to tell you, when I saw it - When I actually saw it - it really affected me. And maybe it is because it goes back to my personal feelings toward Dixie and watching that. Maybe it was that and maybe it was the utter irresponsibility I felt on part of the writers, on the part of John Gaburick, to not stop this and not protect her. But when I actually saw it and the way they sent the locker room out to celebrate it and the way they showed it over and over again - At that point it made me sick to my stomach. And at that point I just no longer wanted to cover the product. That is just how I felt. And again, it had nothing to do with me leaving, it had nothing to do with me not being there - I mean, since you contacted me and wanting to cover the TNA product on PyroAndBallyhoo.com, and I said, “No Problem,” because there are TNA fans out there that want to follow TNA Wrestling. And that’s great. I’m not going to ignore those fans because of my personal feelings. So, when you came forward I said, “Yeah, cover TNA!” Me personally, after that incident, I just have no desire to write about it or talk about it anymore. I want to make that clear because it has nothing to do with me not working there. It has everything to do with that spot. I had a very, very, very difficult time dealing with it. The rumor going around is that Smackdown may be moving to Thursday nights in the fall. With Impact Wrestling moving to Wednesdays (whether that be because of possibly Smackdown or because of the steep NFL competition), do you feel like Smackdown will hurt as they could go up against steeper competition? Yeah, I’m sure they will. Going against the NFL is going to hurt anybody, but then again, on the other side of the coin, Friday is probably the worst TV night to be on. Either way, they aren’t going to draw an audience on Friday just because they aren’t going to draw an audience on Friday and then moving to Thursday you are going to have the NFL, so it’s going to be difficult either way. Since we are talking about a possible struggle, let me bring up the WWE Network. (Now I don’t know if you have the network (I never hear you talk about it), but I certainly am enjoying it on multiple levels. I feel like it is well worth the price for what you get; however, no one is buying it the way WWE thought they would). Why do you think the WWE Network is struggling? It’s the same reason why I’m not buying it. I have to cover wrestling for PyroAndBallyhoo.com. You got 5 hours of wrestling on free TV a week. How many hours of wrestling do you want me to watch a week? I mean, it’s that simple. It really is. Like I said, because of PyroAndBallyhoo.com, I’m giving my feedback on Raw and I’m giving my feedback on Smackdown - I’m giving you five hours of my viewership per week. I can’t give you anymore than that! There’s nothing else on television that I watch 5 hours a week of. It’s too much. If they were that interested in selling subscriptions for the WWE Network and people wanting more wrestling, well maybe you need to look into eliminating Smackdown and cutting Raw down to 2 hours. Maybe if people only have 2 hours of wrestling a week then they might want more. But at five hours, how much wrestling can you watch a week? I actually don’t have a problem with Brock Lesnar as the WWE World Heavyweight Champion. I actually think it is a change of pace and can certainly help make the championship more prestigious if done right. What are your thoughts on Brock being the champion and if you were booking the company, who would you recommend to hold the championship? First of all, I don’t give any booking ideas or what I would do because nobody is paying me to do that, so I’m not going to give free advice. But, quite frankly, I don’t have a problem with Brock as Champion at all. Even if he is on a part-time schedule, well then the storyline should be about everybody else and the positioning for that title. Even if he is not going to be there every week, I still think it is okay as long as the WWE creative team writes it the right way. So I have no problem whatsoever as him being champion. Let’s go way back for a second. Can you describe to us your earliest wrestling memory? Yeah, I can remember stumbling across wrestling and watching it for the first time when I was somewhere about 12 years old. I just literally was flipping through the channels. The thing that caught my attention was an interview and not a wrestling match because, quite frankly, I don’t think the wrestling match would have caught my attention. But when I saw these 3 larger than life characters on my screen cutting an unbelievable promo - That’s what caught my attention immediately and that’s what turned me into a fan. When you look back at your career in the wrestling business, if you can pick one (or if there are more) what would you consider as your biggest creative misstep? And then, what would you consider as your favorite wrestling story you created? I think the worst thing was, by far, when we had the match with The Bossman and Al Snow and the cage was suppose to be surrounded by vicious K-9s. I did not... I did not imagine that these vicious K-9s would going to show up at the building as just dossel dogs that just wanted to go to sleep and not do anything. The vision was these were going to be K-9 trained attack dogs. That’s what we were going for, but when these dogs showed up, we knew this was going to be horrible. And it was. That was by far my worst memory. I think my best the story that Ed and myself, both of us, created surrounding The Rock heel turn night he joined The Corporation. That was probably the best written angles over a long period of time ever! I’ll put that up there against anything because that was written - That was plotted out for months and months and months and we spent so much time and effort into that storyline and I think it worked out perfectly. You had the perfect players. You had the perfect talent. That was probably my crowning moment because everything, just everything, fell into place the exact way we planned. You are now working on your website PyroAndBallyhoo.com what seems to be every day. Do you consider your website a full-time job now? No question! No question! I look at it this way first of all - There is the newness of me being able to say whatever I want. There is that newness. Number two: I am a writer. That’s what people don’t understand and that goes back to John Gaburick. It goes back to Triple H. It goes back to Jeff Jarrett. There’s an art to writing wrestling. You just can’t write wrestling and expect to get big ratings. It just doesn’t work that way. You need writers who understand wrestling to write your show. And the biggest slap in the face to me has always been when anybody thinks they can write wrestling. I old thing is always - Go write it! Go do it! Let’s see what the numbers are. You go do it if anybody can write it. So getting back to PyroAndBallyhoo.com - First and foremost I am a writer. That’s my strength. So, I’m writing on the website every single day. Secondly, we just opened a VIP area. We charge a fee for the user to get extra added on content. Basically, one of the big parts of that is I do a video shoot interview every single week that is about an hour and a half long on the VIP site. I also do two other podcasts on the VIP site. I also make sure there is new written content every week for the VIP site because my philosophy is if the people are willing to pay for this extra added content then they are going to get this extra added content! Vince Russo is not just going to sit back and see people sign up and not give them what they are signing up for. By all means it has become a full-time job. I work on it everyday either through podcasts or writing. It definitely has become a full-time job. The VIP membership is only $5.95 a month... which is about half of the WWE Network monthly subscription (cheap plug). It’s not only that. To be honest with you, it’s $5.95 a month. Just alone - forget everything else - We are doing between 2 and 4 video interviews a month. That’s an equivalent of a shoot interview that you might buy off a website for $20 + shipping and handling. By the time you have that in your hand it is $25. Meanwhile, keep in mind, it is usually the person doing the interviewing is not somebody that has ever been in the wrestling business. So the beauty I love about my podcast is I am bringing in people that I worked with. I’m bringing in people I know. I’m bringing in people that I knew their circumstances when they were there. I knew what was going on with them and what as going on with their career. So you are going to get me asking the real questions because I was there and I know what happened and I know these people. And that’s why the video interviews go on for so long because so much is being discussed that it has never been brought to the surface before. For that $5.95 - For you to get that 4 times a month - What that’s like a $1.50 a week? If I was a wrestling fan, I would be eating these up! What can regular readers of the site expect to see in the future? Same thing man! I go on there and I write every single day. I write for VIP and I write for the free site. You are going to see beyond wrestling. Obviously wrestling is going to be covered. That’s what I do. That’s what brought me to the dance, but you are also going to be reading a lot about pop culture, TMZ style stuff. Things from music to spots to movies to television - Things that are Vince Russo - That’s what you’re going to be reading about. It’s different every week. Before you called, I’m working on a piece about Sylvester Stallone and Expendables 3 not doing well at the box office as the first two. Basically whatever I wake up to everyday and I read about and what I want to write about, that’s basically what’s on there. What can everyone expect from Vince Russo in the future? A new book? Yeah, a couple of things! One of the things I am probably going to do next is, you know my second book “How WCW Killed Vince Russo”, I’m going to start working on an audio book for that. So I’m literally going to go through that page by page in my own voice and I’m going to have that audio book available on PyroAndBallyhoo.com. Then what I basically said is look, I written two books already - The first book “Forgiven” covered my WWE days, the second book “How WCW Killed Vince Russo” covered my WCW days, obviously. There’s a third arm to my story and that’s basically Total Nonstop Agony. Believe it or not, that’s where I was the longest. That’s where there’s more stories to tell than anything. Basically the plan is, again, getting back to PyroAndBallyhoo.com, I think I’m going to write that book in digital form where it would be available on my website for whoever wants to purchase and read it. For the first time I think I’m going to go to the digital media and see how that plays out. Lastly, you are looking for writers for the website, right? Absolutely! Absolutely! The more writers I can find for PyroAndBallyoo the better! Listen, I know how hard it is to break into certain areas. I’m all about finding people with talent and giving them the opportunity, especially on my site. I mean, right now I have this lunatic on my website who gives commentary. The guy’s name is RazorFist and I got some of his YouTube videos up on my site. This guy is unbelievable... just unbelievable!! I came across just the other day this animated series called “The Jhon Seelar Show”. It’s a take-off on Cena. Hysterical! Unbelievable! That’s up on my site now! I’m looking for talent. I’m looking for people who are different. I’m looking for people who want a chance. So if anyone is interested it is basically: Submit@PyroAndBallyhoo.com. If you are interested, let us know. We’ll look at some of your work and then we will take it from there. Vince, I seriously want to thank you for taking the time out of your schedule to talk with me for WrestlingNewsWorld.com! It truly is an honor and (I know I had a great time)! Everyone can reach Vince Russo on Twitter: @PyroBallyhoo and you can check out his website daily for new content from Vince himself – PyroAndBallyhoo.com! Is there anything else you want to state Vince? No, but hey Alex, I’m excited about you coming on the site. I’m excited about you covering TNA. I really am! Because, like I said, put my personal reasons aside, I love the talent on the TNA roster. I’m rooting for those guys. I didn’t want to shut everybody out at TNA just because some of the issues I have. I know a lot of TNA fans come to the site, so I am real happy and really excited that you contacted me. You’ll be covering TNA for the site and we’ll be covering them going forward. Again, thank you for allowing me to interview you and I would love to talk to you again in the future! We at WrestlingNewsWorld.com wish you nothing but the best! For WrestlingNewsWorld.com, I am Alex Barie – with Vince Russo!